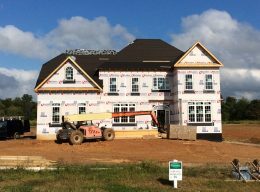 With its multi-gabled rooflines, columned front porch and blended stone and siding exterior there’s no mistaking this Lancaster Model’s inspired and timeless Craftsman style. 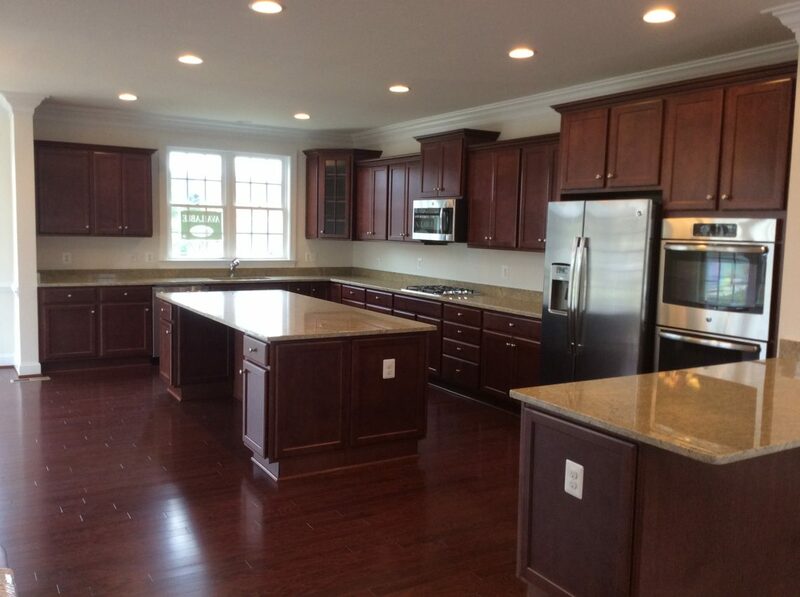 The 5323 square foot home with side entry 3-car garage is sited on a beautifully wooded one-acre home site. 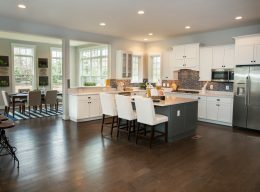 Added space and customized upgrades throughout the home expand the already sizable living and entertainment areas of its award-winning floorplan. 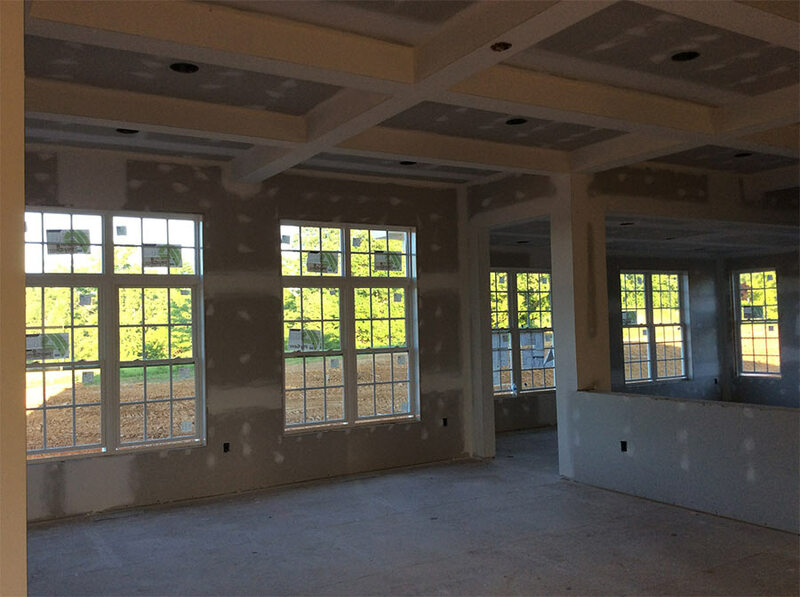 The main level, with 10’ high ceiling, has been enhanced with a Morning Room addition and Side Conservatory off the Living Room. The Family Room has been extended creating a generous gathering area for family and guests. The upper level boasts a private full bath for each of the four bedrooms and a magnificent corner owner’s suite with adjacent sitting room. 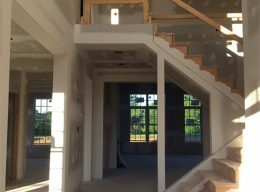 Downstairs, the lower level is complete with a finished rec room, den, a media/fitness room, huge 31’ deep game room and 5th full bath. CLICK ON PHOTO TO ENLARGE. 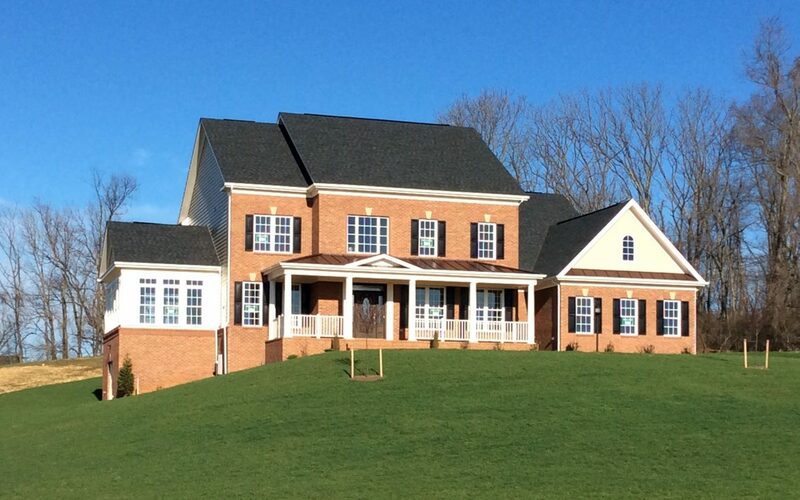 This Augusta model sits on a wooded one-acre homesite in prestigious Great Falls, Virginia. 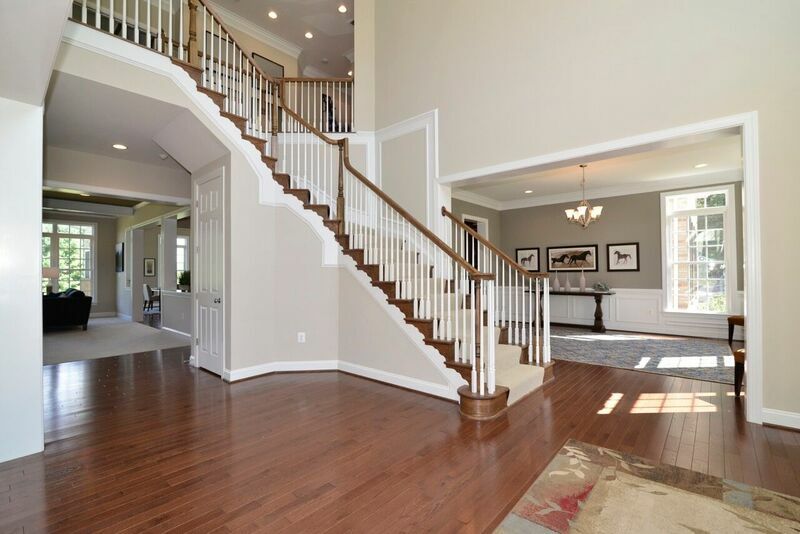 This magnificent home features over 7,400 square feet of finished living space, The main level boasts 10 ft. ceilings, a dramatic two story foyer with a rear staircase off the kitchen. 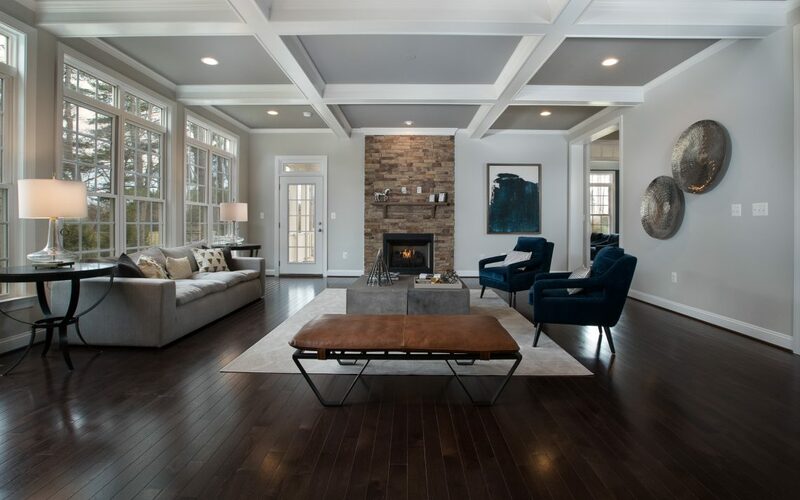 The expansive main level family room has beamed ceilings and an elegant floor to ceiling stone fireplace with an entrance to a private screened in porch. 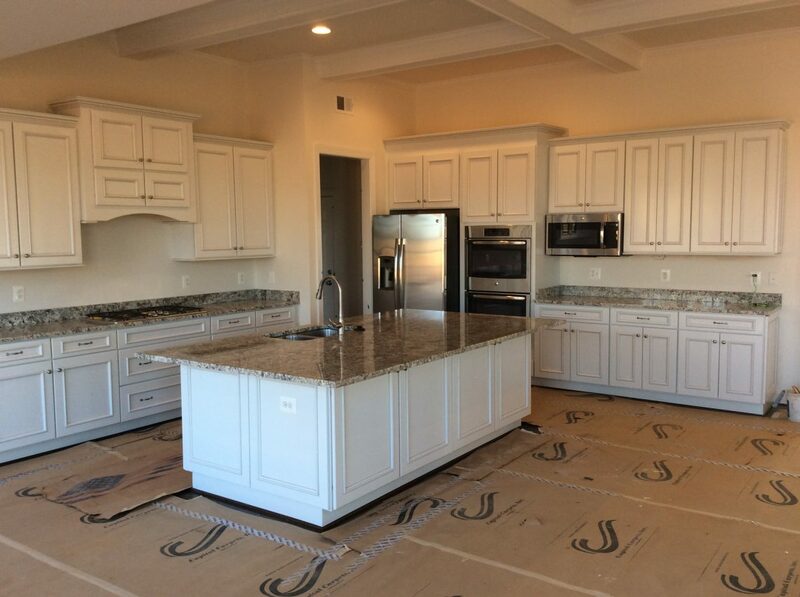 The chef’s kitchen offers a remarkable 9-foot island, professional grade Monogram appliances, custom cabinets with staggered heights and end panels, Silestone counters, tumbled marble backsplash and a separate walk-in pantry. The upper level features a huge master bedroom with separate sitting room, 3 large bedrooms, each with oversized walk-in closets and private baths, plus a full laundry center. 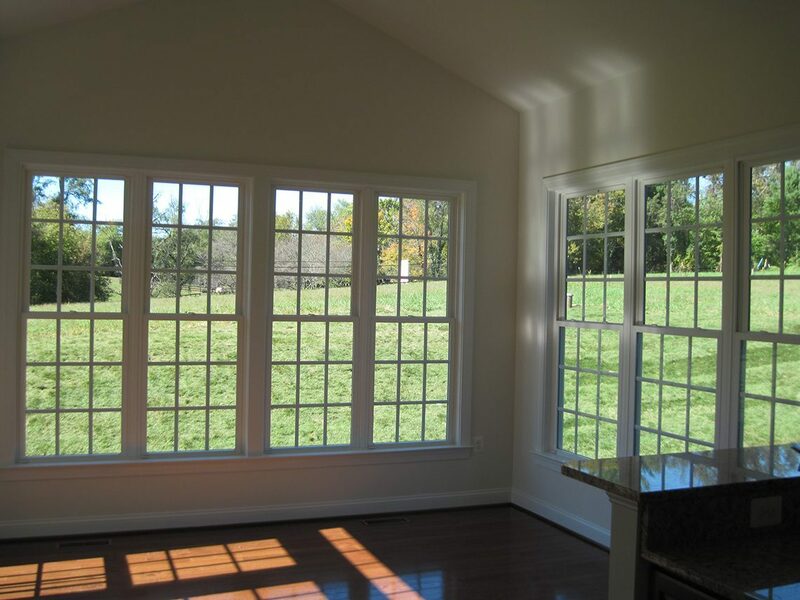 The lower level includes a broad recreation room, den, media room, and full bath. 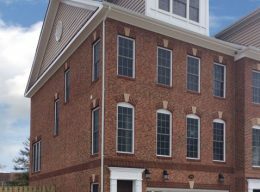 Outside, the Augusta exterior is complemented by brick on the front and side facades, a separate service entrance, brick stoop & steps with a wide rolling flagstone lead walk, and massive stone driveway piers with coach lamps. CLICK ON PHOTOS TO ENLARGE. 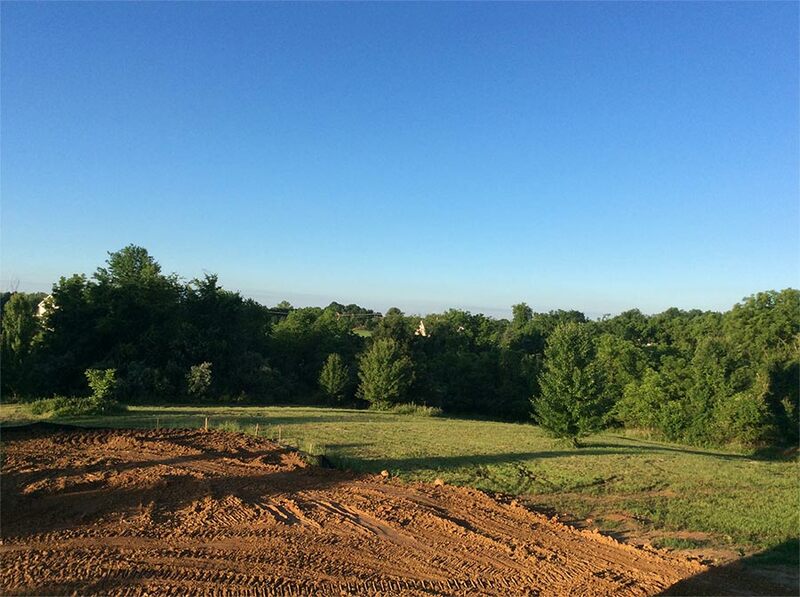 Whether you want more bedrooms for family or guests, this customized 6300 square foot Oakton Model (lot #20) beautifully sited on three acres, more than accommodates. It features a large 228 square-foot main level Guest Suite with full Bath, tucked privately in a rear corner of the home. Both the Morning Room and Family Room with stone-faced fireplace, have been extended so when everyone does gather together there is exceptional living and entertaining space. 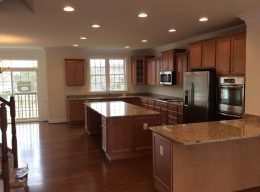 The finishes are all custom quality including elegant hardwood flooring, quartz countertops in the kitchen and owner’s bath and Oak stairways to both the upper and lower levels. 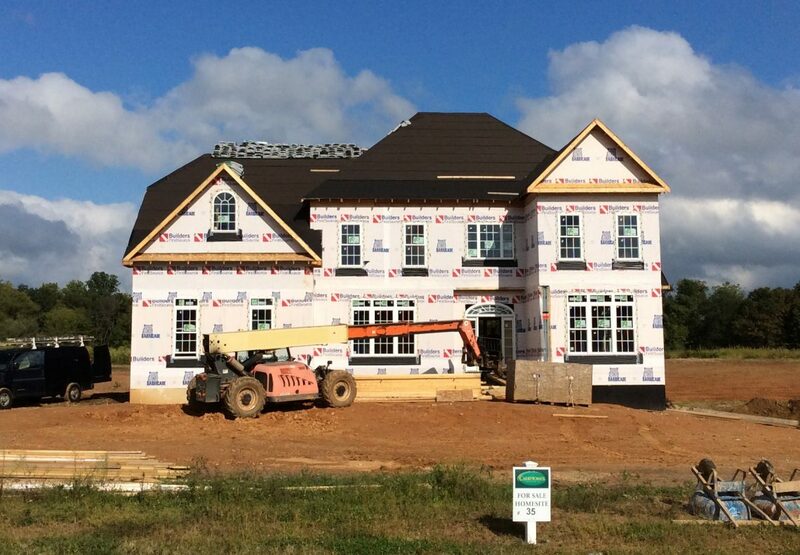 The four, upstairs bedrooms each include a private full bath and walk-in closet. And stepping up and through a double door entry you’ll love the magnificent owner’s suite with its separate retreat and spa bath. 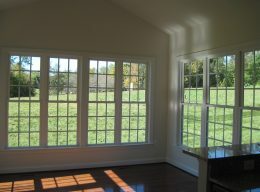 The lower level is customized with a finished Rec Room, Den and full Bath. CLICK ON PHOTOS TO ENLARGE. 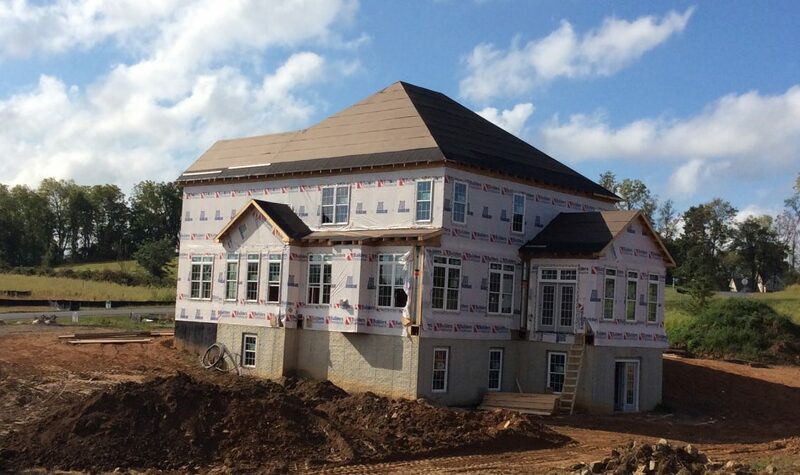 This Augusta model is situated on 5 sprawling acres with spectacular views of the surrounding countryside. 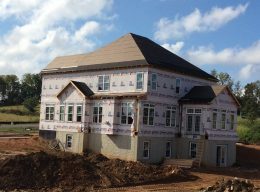 With over 7,400 square feet of finished living space, this magnificent homes features a 3 car garage, 5 bedrooms and 5.5 baths. 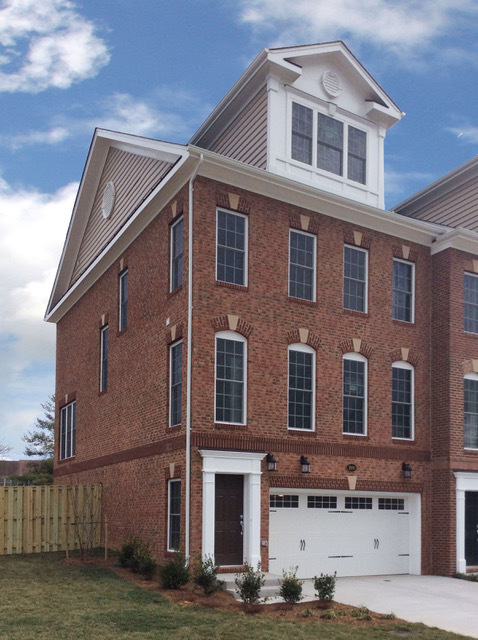 The main level boast 10 ft. ceilings, a dramatic two story foyer and a rear staircase off the kitchen. 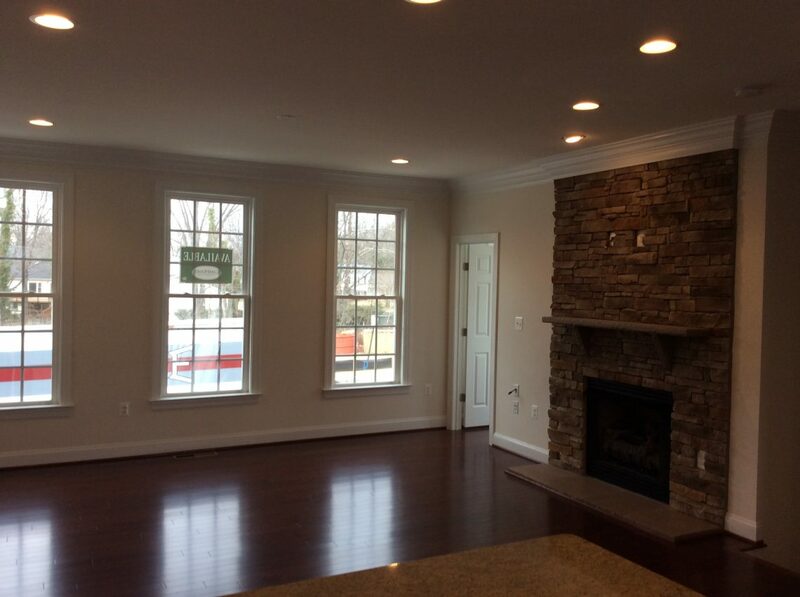 The expansive main level family room has beamed ceilings and an elegant floor to ceiling stone fireplace. 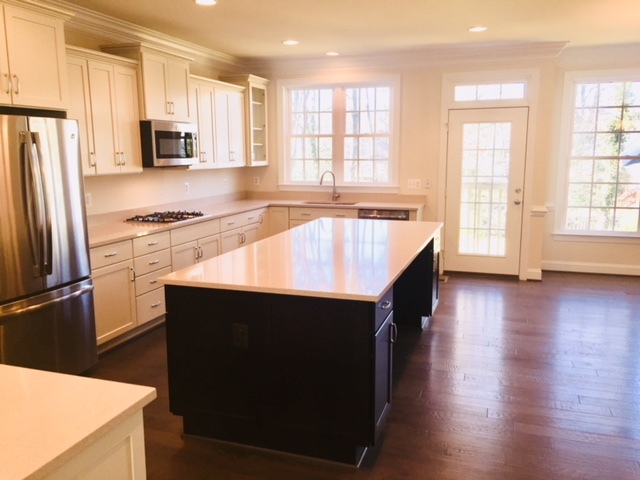 The chef’s kitchen offers a remarkable 9 foot island, stainless steel appliances, custom cabinets with staggered heights and end panels, granite counters, tumbled marble backslash and a separate walk-in pantry. 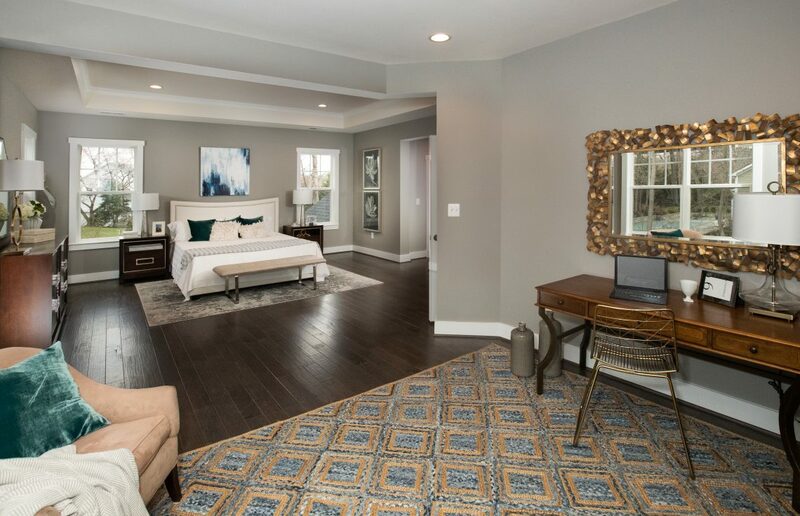 The upper level features a huge master bedroom with sitting room, 3 expansive bedrooms, each with large walk-in closets, and private baths, plus a large laundry center. 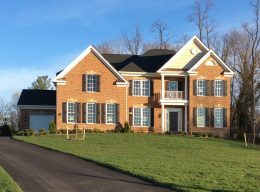 The full daylight walkout lower level includes a large recreation room, bedroom/den, media room, wet bar and full bath. 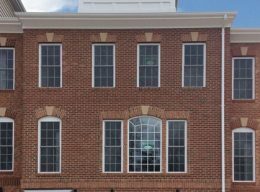 Outside, the Augusta exterior is complemented by brick stoop & steps with a brick lead walk and massive stone driveway piers with coach lamps. CLICK ON PHOTOS TO ENLARGE. Call 703-598-3095 or fill out the form below for more information. This Grandview II townhome with a full floor owner's suite and a 2-bedroom loft, above, literally takes luxury and privacy to a new level. 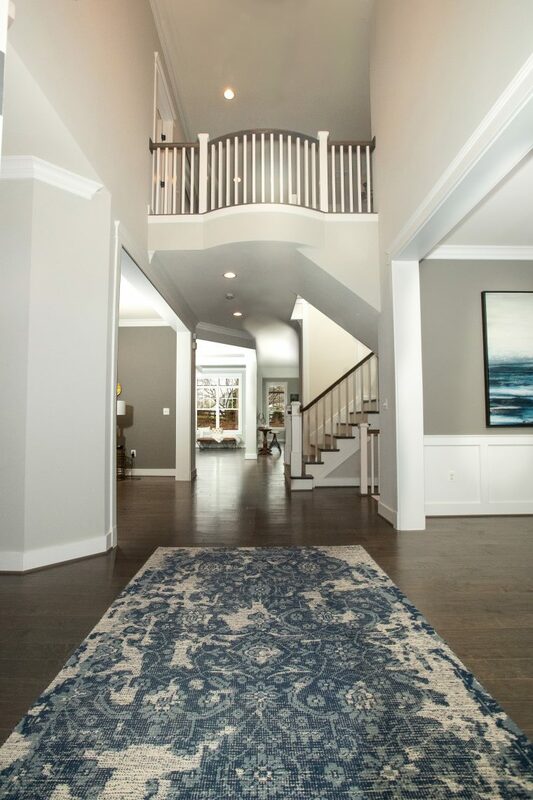 The customized 3rd level design starts with a private reception foyer. The Owner's Suite is elegantly detailed with 3-piece crown molding and tray ceiling. It includes two large walk-in closets. The Owner's Spa Retreat has been upgraded to feature CarrHomes' signature"Walk-in Dream Shower" with dual shower heads and bench seating. This exceptional 3rd level space also allows for a den, laundry room and linen closet. 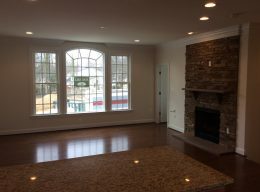 The main level features a spacious front Great Room, with stone-faced fireplace and rear Chef's Kitchen and Dining Room - all with hardwood flooring. 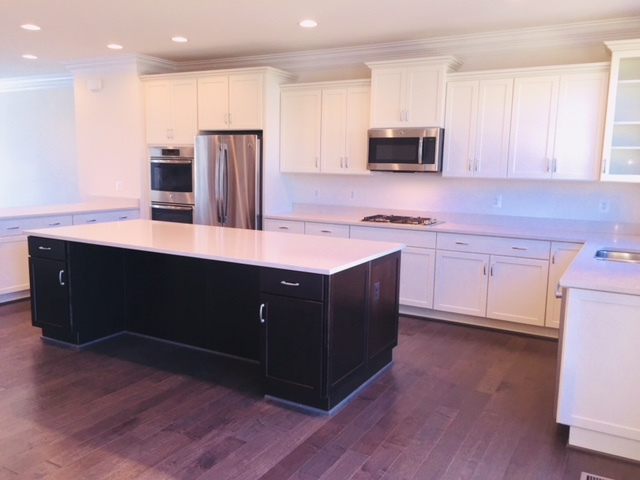 The upgraded countertops are custom-quality quartz Special features include a custom breakfast bar and a magnificently-sized, 9-foot long kitchen island, ideal for a guest buffet or casual dining. 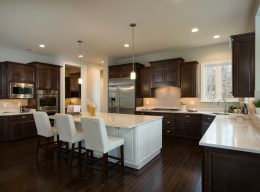 Kitchen appliances are stainless steel and premium cabinets are at staggered heights with end panels and oversized crown molding. 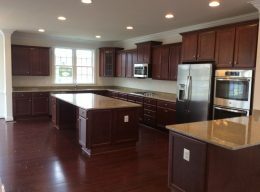 There is also a large walk-in pantry for abundant storage space. CLICK ON PHOTOS TO ENLARGE. 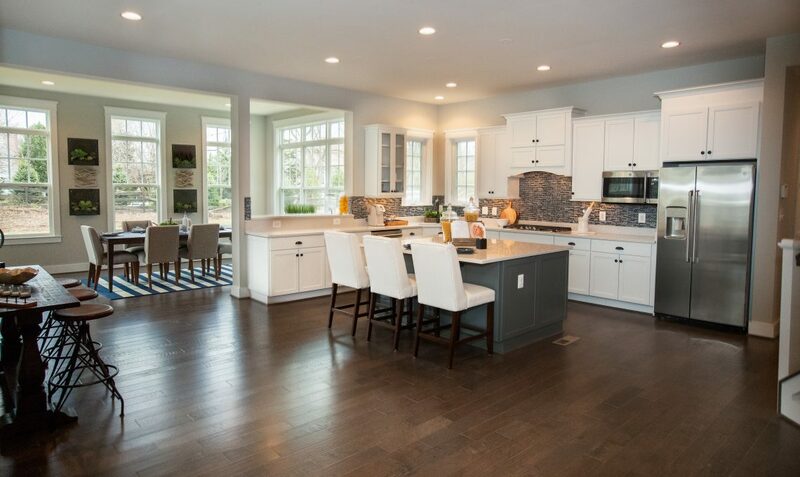 The kitchen, alone, makes this award-winning 5,900 square foot Lancaster model a must-see. 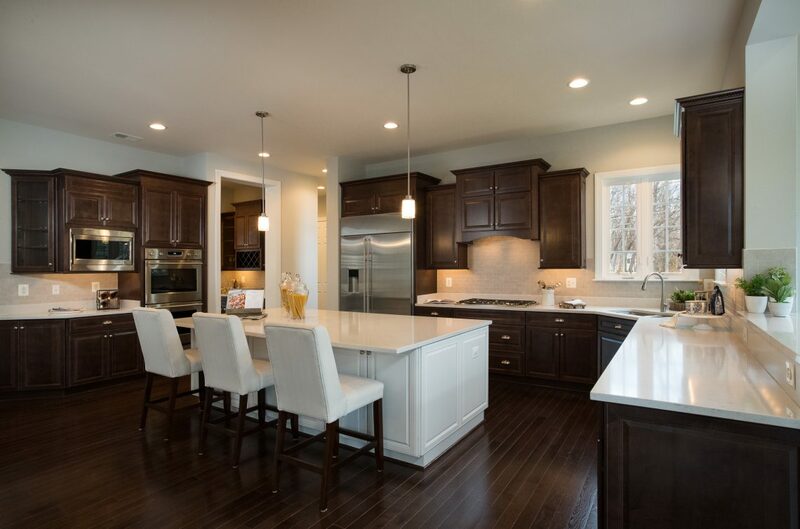 It is a gourmet showcase of value-added upgrades : elegant granite countertops; a magnificently-sized, 35 square foot chef's island; custom staggered height cabinetry with glass doors; oversized crown molding and end panels. 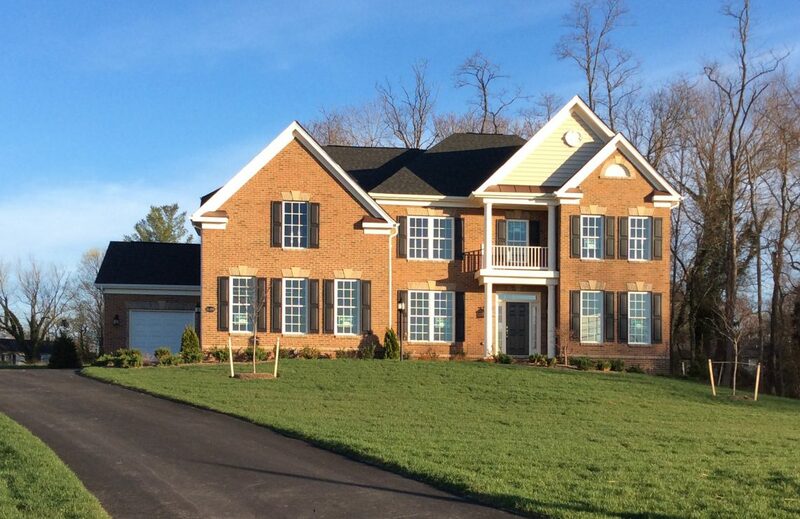 This stunning home with a brick front, lead walk, and stoop set on a beautiful 3-acre home site. The interior has been customized throughout with built-in options highlighted by a light-filled rear morning room and extended family room. 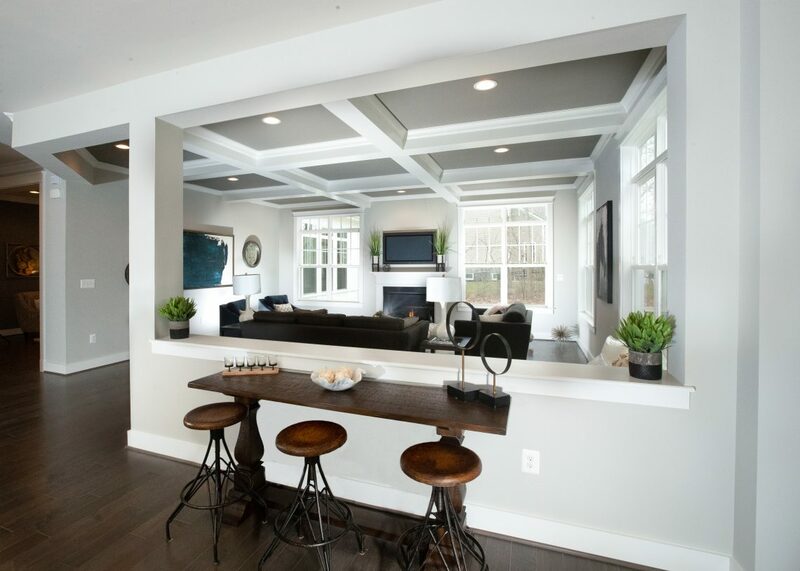 A dramatic 10'-high ceiling throughout the main level adds volume space to the open interior. 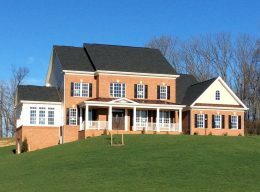 Special conveniences include a large walk-in kitchen storage pantry, separate butler's pantry and a unique 'Y"-shaped oak staircase offering upper level access from both the front of the home and from the kitchen. 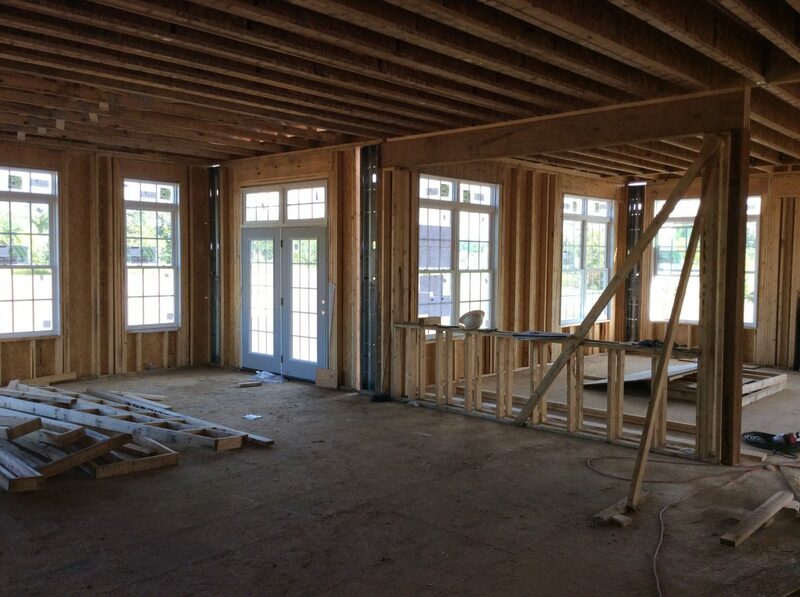 The multi-windowed walk-out lower level is finished with a rec room, game room and additional full bath. CLICK ON PHOTOS TO ENLARGE. 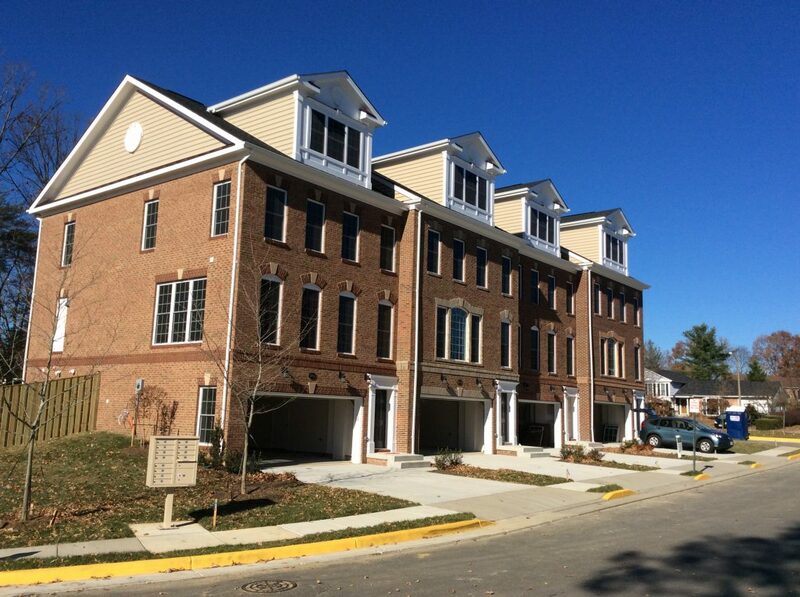 Call 703-926-7241 or fill out the form below for more information. 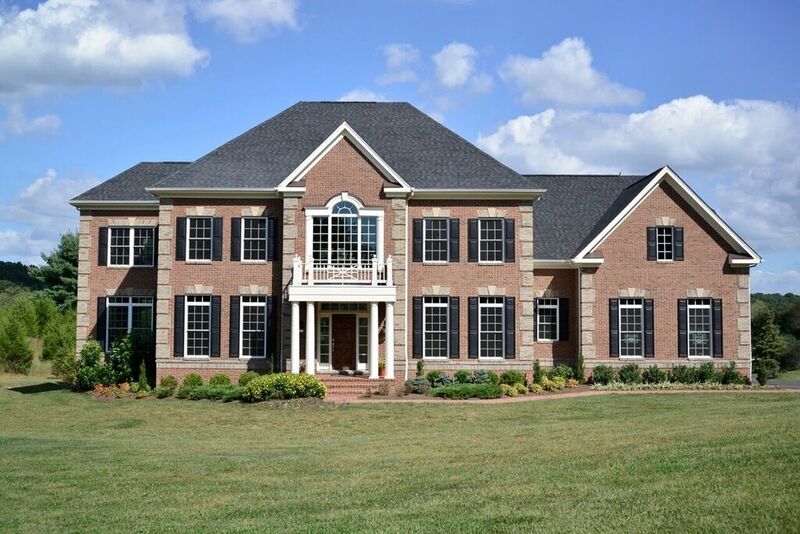 With a broad, wrap-around front porch spanning the front of the home and breathtaking views overlooking Loudoun Valley, this grand 4,752 square foot Oakton model fits majestically ' on a one-of-a-kind premium three-acre home site. 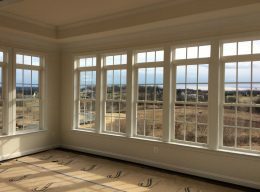 Custom architectural highlights on the main level include an extended rear family room with 11' beamed ceiling, a side conservatory and light-filled morning room with endless panoramic vistas of the surrounding landscape. Staggered height kitchen cabinets with end panels, classic granite countertops and stainless steel appliances are all of custom quality as well. The huge upper level owner's suite with private retreat includes CarrHomes' signature walk-in "Dream" shower in the owner's spa. 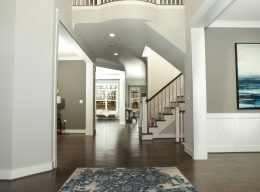 The walk-out lower level can be customized with a finished rec room, den, wet bar, media room and additional full bath. CLICK ON PHOTOS TO ENLARGE. Magnificent 2-acre lot with wooded backdrop. 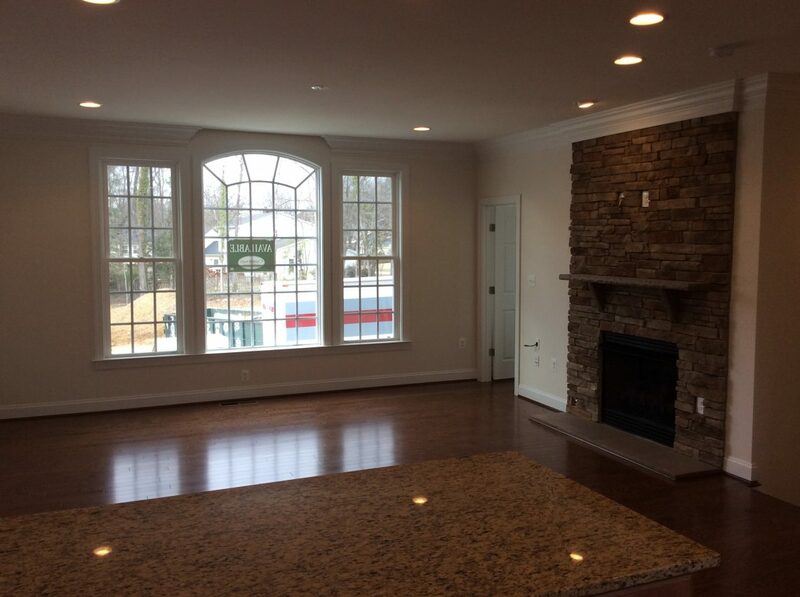 Classic brick front opening into a grand 4,471 square foot (main and upper level) interior. Hardwood flooring throughout the main level (except in Family Room). 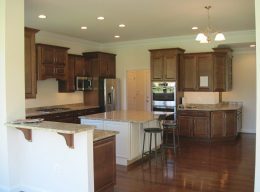 Included Morning Room extends kitchen and entertaining space. 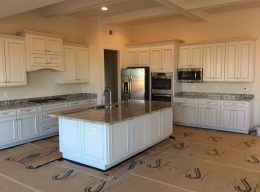 Chef’s kitchen features stainless steel appliances, granite countertops and custom quality cabinetry with staggered heights and end panels. 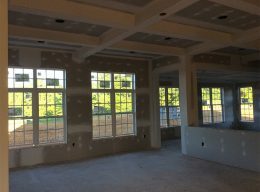 Extended Family Room with bay window, includes stone-faced gas fireplace and coffered ceiling with crown and corner molding. 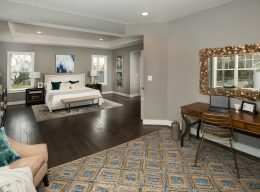 Elegant owner’s suite and upgraded spa bath with granite countertops and frameless shower doors. CLICK ON PHOTOS TO ENLARGE. 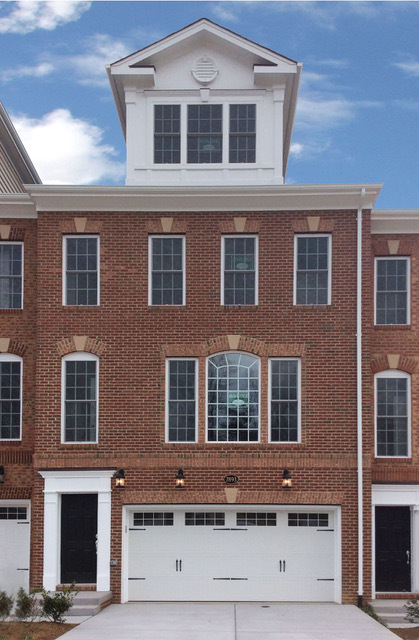 This Grandview II townhome with a full floor owner's suite and a 2-bedroom loft, above, literally takes luxury and privacy to a new level. 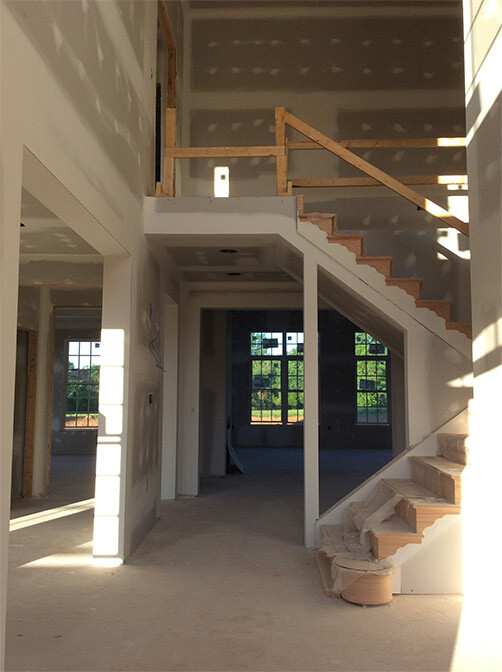 The customized 3rd level design starts with a private reception foyer. The Owner's Suite is elegantly detailed with 3-piece crown molding and tray ceiling. It includes two large walk-in closets. The Owner's Spa Retreat has been upgraded to feature CarrHomes' custom "Walk-in Dream Shower" with dual shower heads, bench seating and exquisite, frameless shower door. 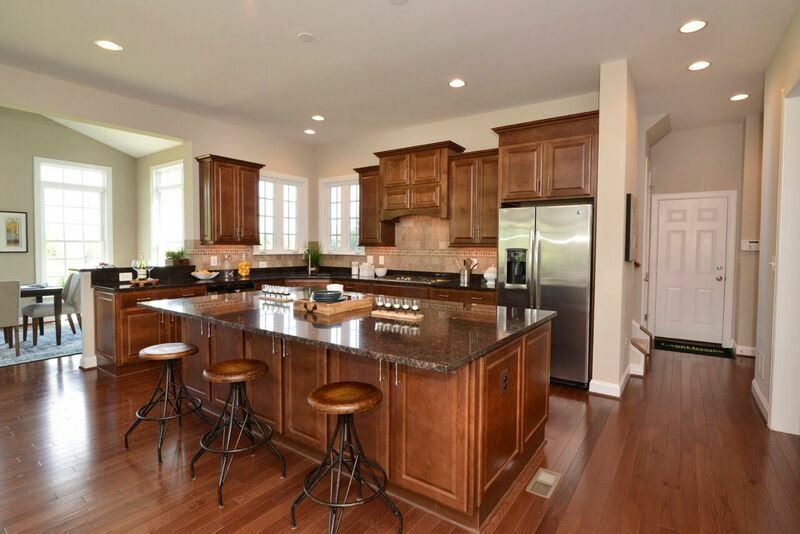 This exceptional 3rd level space also allows for a den, laundry room and linen closet. 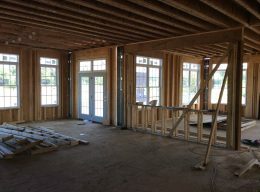 The main level includes a spacious front Great Room, and rear Chef's Kitchen and Dining Room - all with hardwood flooring. Special features include a stone-faced fireplace, a custom breakfast bar and a huge 9-foot long kitchen island, ideal for a guest buffet or casual dining. 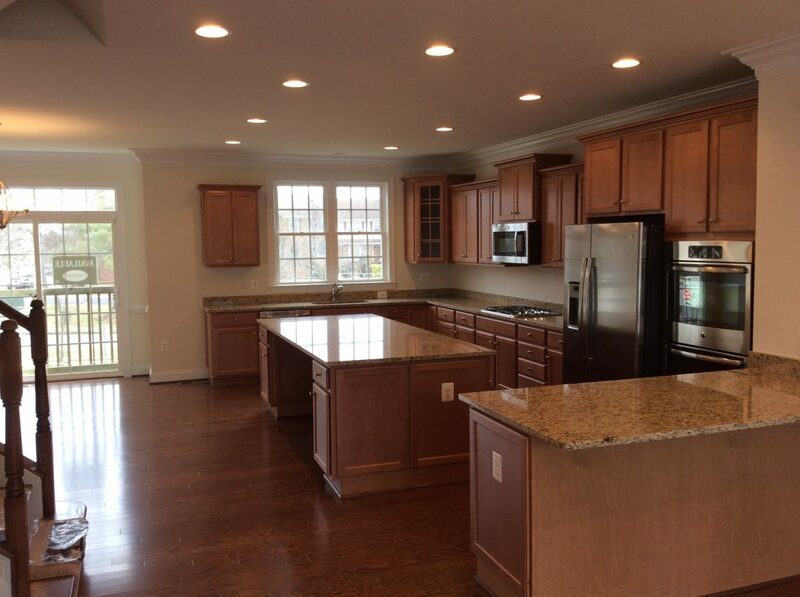 Kitchen appliances are stainless steel and upgraded cabinets are at staggered heights with end panels and oversized crown molding. There is also a large walk-in pantry for abundant storage space. CLICK ON PHOTOS TO ENLARGE. 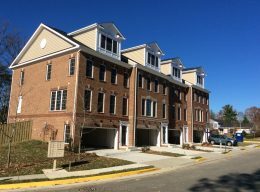 This end-unit Grandview II townhome with a full floor owner's suite and 2-bedroom loft, has been finished with custom -quality architectural and design upgrades throughout. The main level includes a spacious front Great Room, and rear Chef's Kitchen and Dining Room - all with hardwood flooring and oversized trim and moldings. Special features include a stone-faced fireplace, custom breakfast bar and huge 9-foot long kitchen island centerpiece, ideal for a guest buffet or casual dining. Kitchen appliances are stainless steel All countertops are granite and there is also a large walk-in pantry with abundant storage space. The 3rd level Owner's suite is magnificent. 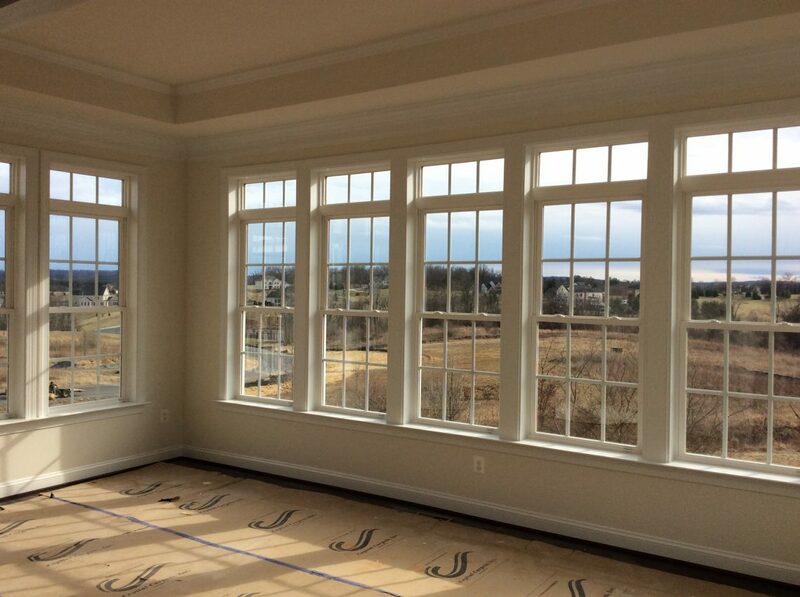 It starts with a private reception foyer and includes its own separate retreat. The Owner's Suite is elegantly detailed with 3-piece crown molding and tray ceiling. It boasts two large walk-in closets. And the Owner's Spa has been upgraded to include CarrHomes' custom "Walk-in Dream Shower" with dual shower heads and bench seating. This exceptional 3rd level space also includes a den, laundry room and linen closet. CLICK ON PHOTOS TO ENLARGE.